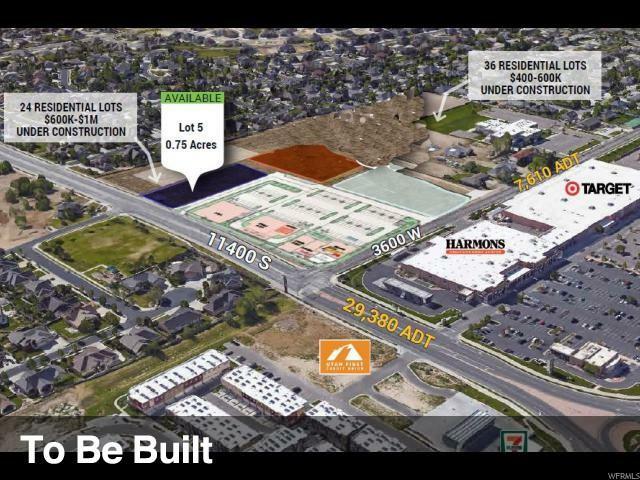 Prime South Jordan Pad Build to Suit for Retail or Office. Immediate access with curb cut on property to 114th. Drive through potential w/traffic in excess of 29,000 ADT. Max food retail size building approx 4,500 sq ft. Max non-food retail approx 9,000 sq ft. Max office size approx 13,000 sq ft. Please call list agent for pricing & details. Furthest East Lot on 114th, Lot 105 w/0.75 acre.